We are manufacturer, supplier & exporter of Fuse Gear Parts & HRC Fuse Part. 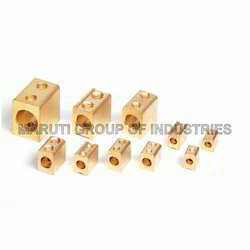 Our product range also comprises of Amp Terminals, Brass Products. 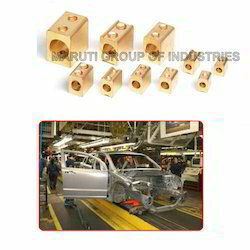 Our customers can place orders for this range of Fuse Gear Parts for Automobile Industry. These gears are designed to provide high levels of performance, flexibility, and reliability in diverse industrial applications. Backed by a team of dexterous professionals, we have been able to manufacture, supply and export a broad assembly of Fuse Gear Parts. Entire range of gear parts offered by us is manufactured utilizing technically advanced machines and tools, ensuring their compliance with international quality standards. Moreover, our team of quality controllers inspects these gear parts on strict quality regimes to sure their accurate dimensions. Looking for Fuse Gear Parts ?